Midu Alsaidy, LMSW, graduated from the University of Chicago with a Masters in Social Work, with concentrations in Community Mental Health and Psychiatric Social Work. 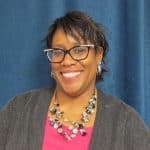 Midu earned a Bachelor of Science in Public Relations from Eastern Michigan University and has been living and working in Washtenaw County for more than 20 years. Mental Health Authority. He specializes in working with children and adults with moderate to severe mental health and behavioral diagnosis such as Schizophrenia, Depression, Oppositional Defiant Disorder, and Dissociative Personality Disorder. Midu has worked with adults, adolescents, and children both in an inpatient and outpatient settings, as well as in the community. 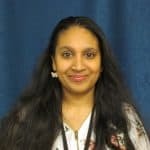 Midu’s prior experiences include working in an inpatient adult psychiatry setting at Chicago Read Mental Health Center, and on the NICU, ED, and PICU at Lurie Children’s Hospital of Chicago. In addition, Midu has extensive training in Grief and Bereavement Counseling, Children Neglect & Abuse, Social Adjustment Counseling, Cognitive Behavioral Therapy and Psychodynamic Therapy. Specializes in working with: Adults, Adolescents, Children and Families. Midu is bilingual and can provide therapy in three Arabic dialects. Areas of Practice: Social Adjustment Counseling, Motivation, Depression, Stress, Post-Traumatic Stress Disorder (PTSD), Acculturation, Behavioral Challenges, Crisis Intervention, Family Changes/Dysfunction, Grief and Loss Counseling, and Severe Mental Health Diagnosis. Joseph Barksdale, MSW, LMSW, CAADC, earned his Bachelor of Social Work (1992) and Master of Social Work (1999) degrees from Wayne State University. Joseph’s experiences involve working with patients who are dual diagnosed with mental health and substance abuse problems in inpatient and outpatient treatment settings. 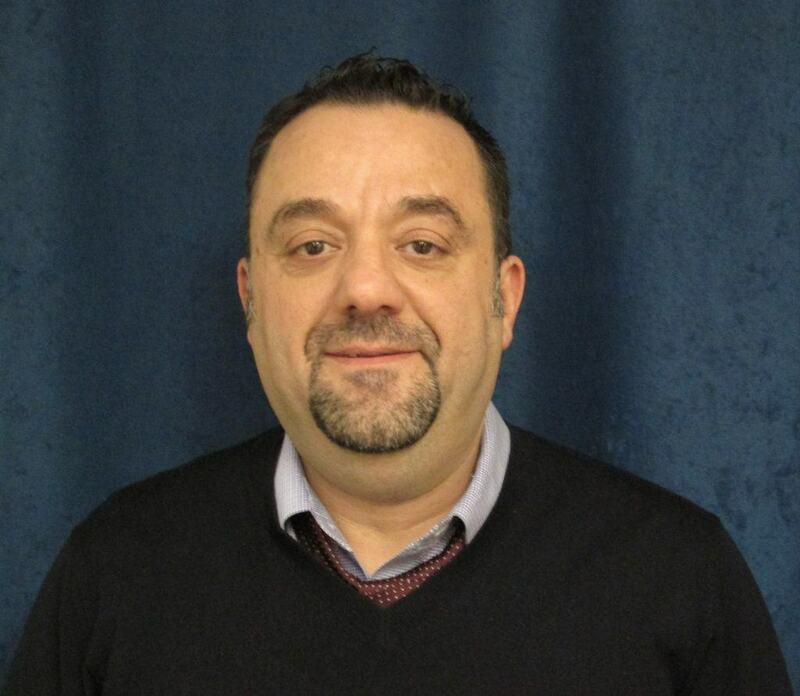 Joseph has worked as domestic violence facilitator and Individual/Family therapist. As part of substance abuse and domestic violence, Joseph has worked with many Parolees and Probationers to learn how to establish healthy relationships, increase sobriety and learn how to integrate back into families. Additional areas of expertise include relationship building, depression, anxiety and PTSD. Areas of Practice: Abuse/Neglect, Adjustment Problems, Adult Child Of Alcoholics, Anger Problems, Anxiety, Behavior Problems, Divorce Issues, Depression, Domestic Violence, Family Dysfunction, Grief/Loss Issues, Lifestyle Changes, Parenting Issues, PTSD, Recovery/Relapse Issues, Relationship/Marital Problems, Self-esteem, Stress. Virginia Boyce, LMSW, MPH, Registered Yoga Therapist. 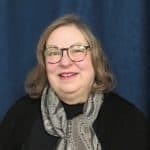 Reflecting her interest and belief in the body – mind connection, Virginia earned her Master of Public Health degree from University of Michigan and her Master of Social Work degree from Eastern Michigan University. Through working in the field of gerontology for over twenty years, she has developed a passion for exploring the challenges of adult and later life issues: the developmental tasks of adulthood, finding meaning in the variety of life experiences, developing strategies and habits that foster strong body – mind connections, taking on the role of elder, and taking the lead in family relations – in general, aging well. Virginia has had extensive experience in working with grandparent-headed households. Her interests include using breathing, relaxation, mindfulness, and meditation to enhance cognitive and short term therapy modalities. Virginia looks forward to helping individuals of any age seeking assistance with issues of the second half of life. Areas of Practice: Adjustment Problems, Anger Problems, Anxiety, Bipolar Disorder, Chronic Medical Problems, Depression, Family Changes, Family Dysfunction, Phobias, Post Traumatic Stress Disorder (PTSD), Relationship/Marital Problems, Stress. Becky Brant, MSW, LMSW, ACSW, CAADC earned both her BSW and MSW degrees from Eastern Michigan University. She began her career working in substance abuse treatment and later worked in a Community Mental Health (CMH) setting. 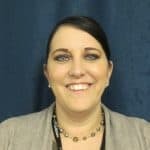 Becky has a multitude of experience including training in Dialectical Behavioral Therapy for both individual and group settings, maintaining certification as an addictions counselor, training in individual and group therapy for trauma survivors, and coordinated an IOP program in a CMH setting. Additionally, she facilitates a marriage preparation course for CSSW called We C.A.RE., which teaches communication and relationship enhancement skills to couples using the Prevention and Relationship Enhancement Model. 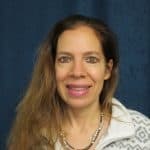 She uses a variety of evidenced based treatment approaches including, cognitive-behavioral therapy, dialectical behavioral therapy, motivational interviewing, and solution focused therapy in her work with clients. Areas of Practice: Adjustment Problems, Anxiety, Bipolar Disorder, Depression, Stress, Substance Abuse, Borderline Personality Disorder, Relationship Issues, and Post-Traumatic Stress Disorder (PTSD). Marna M. Clowney-Robinson, LLMSW, MSW, MLIS, graduated from the University of Michigan School of Social Work with her MSW in Interpersonal Practice / Mental Health; a second master’s degree from Wayne State University School of Library and Information Sciences with her MLIS specializing in Digital Archives; and from Concordia University with a Bachelor’s degree in Psychology / Sociology. Marna has experience with case management working with homeless individuals in a non-profit setting; and has co-facilitated support groups for eating disorders, substance abuse, and safe space dialogues. Marna utilizes evidenced based therapy such as Cognitive-Behavioral Therapy, Acceptance Commitment Therapy, Solution Focused Therapy, Cognitive Based Mindfulness Therapy, Modified DBT Therapy and Motivational Enhancement Therapy. Her therapeutic approach is to provide support and feedback to help clients effectively address personal life challenges. Areas of Practice: Abuse/Neglect, Anger Management, Anxiety Disorders, Crisis Intervention, Depression, Domestic Violence, Eating Disorders, Grief & Loss, Identity Issues & Multi-cultural Issues, Multi-cultural Counseling, Women’s Issues, Survivors of Sexual Assault, Domestic Violence, Dating Abuse, Stress Management, Grief & Loss Issues, Spirituality Concerns, Trauma, Depression, Anxiety, Bipolar Disorder, Substance Abuse Recovery and Relapse Prevention, Self-Injurious Behaviors, Stress Management, Post-Traumatic Stress Disorder (PTSD) and Trauma. 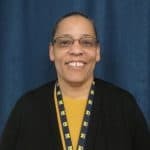 Kathryn Fortune-Gallagher, LMSW., ACSW completed both her Bachelor’s degree in Psychology (1989)and Masters degree in Social Work (1992) from the University of Michigan. She has spent the last 18 years as a school social worker. 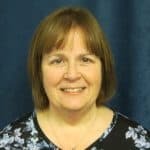 Prior to that, Kathryn worked as a therapist at Jackson Hillsdale Community Mental Health providing child and family therapy to clients with Attention Deficit Hyperactivity Disorder. She also worked in a residential psychiatric setting for abused and neglected adolescents. Her experience also includes a considerable amount of work with mentally ill children and adults. 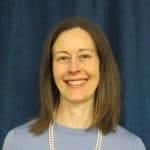 Additionally, she worked as a case-manager with duly diagnosed adults at Washtenaw Interventions, Inc.
Kathryn’s experiences involve providing anger management and social skills groups to elementary aged students. She has worked extensively with children who exhibit autism or emotional impairment. She has many year of experience working with families and acting as a liaison between schools and families. Areas of Practice: Family dysfunction, ADHD, Mental illness, Co-dependency, Behavior problems, Anger Management for children, School problems, Divorce, Grief/Loss issues, Parenting Issues, Stress and Anxiety. LLMSW/BSW with a CAADC Development plan who has obtained a Bachelor of Science degree in Social Work with a minor in Psychology at Eastern Michigan University. She is a recent University of Michigan’s Graduate obtaining a Masters degree from the School of Social Work in Interpersonal Practice with a Concentration in Mental Health. Christa has a history of working in early childhood development, and continues to work with children exposed to domestic violence and/or sexual assault issues. During her undergraduate years, she studied abroad in Jamaica where she supported programs in an impoverished community to help support a love and logic model to parents of High School Students. She has also worked in programs to help develop realistic goals for families and target issues that affect low income families. She is most experienced in working with multiple areas of socio-economic challenges of all ages. In addition to working with behavioral health services she focuses in substance abuse treatment services. Specializes In Working With: Infants, Young Children, Adolescents, Adults, Families, and Women’s Health. Areas of Practice: Domestic Violence, Sexual Assault, Substance Abuse, Children Abuse/Neglect, Children Behavior Problems, Exposure of Children of Domestic Violence and/or Sexual Assault, Parent Education, Maternal/Paternal Health, Young Adult Mental Health, Crisis Intervention, Family Services, Community Development, Senior Care, and Socioeconomic challenges. Angelita Jacobs, MS, LLP, received her Masters in Clinical Psychology from Eastern Michigan University in 1993. Angelita received her BS from the University of Michigan in Physiological Psychology and studied the mechanisms of actions of various opiod drugs on the Central Nervous System in the U of M’s Department of Pharmacology.She acquired extensive knowledge while providing a wide range of mental health services including psychotherapy and psychological testing and evaluations to Washtenaw County CMH child and adolescent clients. Her experience includes working with children, adolescents and adults in individual, couple and group settings. Angelita also has experience providing Employee Assistance Program and Critical Incident Stress Debriefing services. Areas of Practice: Abuse/Neglect, Adjustment Problems, Adult Child Of Alcoholics, Anger Problems, Anxiety, Attachment Disorders, Behavior Problems, Bipolar Disorder, Borderline Personality Disorder, Co-Dependency, Depression, Divorce Issues, Family Dysfunction, Grief/Loss Issues, Lifestyle Changes, Parenting Issues, Personality Disorders, Phobias, Recovery/Relapse Issues, Relationship/Marital Problems, Stress. : Attention Deficit Hyperactivity Disorder (ADHD), Adjustment Problems, Behavior Problems, Child Abuse, Family Changes, Family Dysfunction, Grief/Loss Issues, Parenting Issues, Relationship/Marital Problems, School Problems, Women’s Issues. Manjit Johar, earned her Doctor Of Philosophy, University of Michigan, Ann Arbor, Michigan (1978). Completed course and practicum in Masters program to satisfy state licensing requirements at Department of Clinical Psychology, Oakland University, Rochester, Michigan (9/75-12/77), M.A., Clinical psychology, University of Punjab, India (1966), B.A., Psychology and Philosophy, University of Punjab, India (1963). Areas of Practice: Abuse/Neglect, Adjustment Problems, Adult Child Of Alcoholics, Anger Problems, Anxiety, Attachment Disorders, Behavior Problems, Bipolar Disorder, Borderline Personality Disorder, Co-Dependency, Depression, Divorce Issues, Family Dysfunction, Grief/Loss Issues, Lifestyle Changes, Parenting Issues, Personality Disorders, Phobias, Recovery/Relapse Issues, Relationship/Marital Problems, Stress. Jennifer L. LaFeldt, LMSW, IMH-EIII, received her degree MSW from the University of Michigan in 1999. Jennifer had her internship at Catholic Charities of Lenawee County in 1999. In 2004, Jennifer received her Infant Massage Certification, and teaches infant massage to parents. Specializes in working with: the youngest of children (0 to 5) and their families, earning her Infant Mental Health endorsement by the Infant Mental Health Association, originally a level two for many years and then moving up to a level 3. Specializes in Infant Mental Health and Infant Massage, and post-partum depression. Areas of practice: Depression, whether it is post-partum or chronic, Anxiety, Anger, Bi-polar, ADHD, chronic pain, family changes, post traumatic disorders and attachment work. She uses the modalities of talk therapy, play therapy, and also sand tray, and solution focused, and CBT. 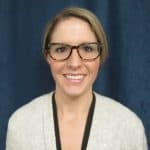 Sarah Kruger, MSW, LMSW, SSWC, graduated with a Master of Social Work with a concentration in Interpersonal Practice and Mental Health from the University of Michigan in 2009 after obtaining a Bachelor of Science in Social Work from Eastern Michigan University in 2007. 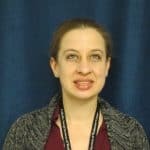 Sarah’s clinical training includes crisis intervention and psychotherapy with children, adolescents, and families, at UMHS Inpatient Psychiatry. Sarah also has experience in crisis intervention and counseling with homeless and impoverished families within a non-profit setting. Sarah is a Certified School Social Worker with additional experience in working with children as an Early Childhood Educator. Sarah utilizes a Client-Centered approach that integrates evidence-based therapies including; Cognitive Behavioral Therapy, Dialectical Behavioral Therapy, Family Systems Theory, and Solution-Focused Therapy, to assist clients in achieving their defined goals. Specializes in Working with: Children, Adolescents, Adults, & Families. Areas of Practice: Abuse/Neglect, Adjustment Problems, Anger Management, Anxiety Disorders, Attachment Disorders, Attention Deficit Hyperactivity Disorder, Autism Spectrum Disorder, Behavioral Problems, Bipolar Disorders, Crisis Intervention, Depression, Divorce Issues, Eating Disorders, Family Dysfunction, Grief & Loss, Marital and Co-Parenting Problems, Mood Instability, Parenting Challenges, Substance Abuse Recovery and Relapse Prevention, Socioeconomic Challenges, Suicidal Ideation and Self-Injurious Behaviors, Stress Management, Posttraumatic Stress Disorder and Trauma. Valerie Maloof, MPhil, LLMSW received her Masters degrees from the University of Cambridge (1998) and the University of Michigan (2018). 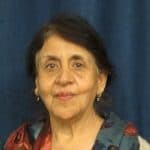 Valerie brings to her therapeutic services over two decades of experience working with the Latinx community in various roles. Valerie was born in Perú and grew up in Costa Rica. At CSSW, Valerie focuses on offering bilingual therapy to Spanish-speaking immigrants and refugees. Areas of practice: Bicultural adjustment (family/individual), trauma (inter-generational and migration), life transitions (high school, college, job, aging, marriage, children), anxiety (academic, social and performance), cancer diagnosis, and relationships (sexuality, infidelity, divorce). M. J. (Maureen) McCloskey, MSW, CHT, LLMSW, BA in Sociology and MSW in Interpersonal Practice from the University of Michigan, Ann Arbor. 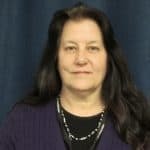 She is experienced in all phases of addictions work (inpatient, outpatient, family treatment and ACOA) and one of her particular interests is present or past addiction with history of childhood trauma. She was in private practice for over 11 years. MJ has always worked with a demographically diverse group of people and believes strongly in the individuality of each client. She specializes in working with adults and older adults, and older adolescents. Areas of practice: adults with childhood trauma, addictions and substance abuse, anxiety and depression, financial and job trauma (including bankruptcy), grief and loss, PTSD, relaxation and guided imagery. Raphaela Moeller, LLMSW, graduated from the University of Michigan in December of 2017 with a Master’s in Social Work with a concentration in Interpersonal Practice with Children, Youth and Families. In 2000, Raphaela received her BA in Psychology from Universidad Católica Boliviana. She has experience working with children and families during her time as a private practitioner in La Paz, Bolivia. Raphaela and her family moved to Ann Arbor in 2005. In 2007, she earned an Early Childhood Montessori Certificate from Adrian Dominican Montessori Teacher Education Institute (ADMTEI). She worked in two Montessori Schools as a Pre-School Teacher and as a Spanish and French Teacher. 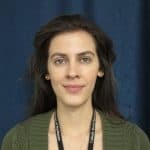 Raphaela has experience in Cognitive Behavioral Therapy, Play Therapy, Narrative Therapy and Motivational Interviewing. In sessions, Raphaela works with her clients on organizational structures, experiential learning, treatment goals, and mindfulness practices as a means for empowerment in her therapy sessions. Specializes in working with: Bilingual (English/Spanish) Children, Adolescents, Adults, and Families. Areas of Practice: Acculturation, Adjustment Problems, Anger Issues, Anxiety, Attachment Disorders, Behavior Problems, Depression, Family Changes/Dysfunction, Grief and Loss, Parenting Issues, Post-Traumatic Stress Disorder (PTSD), Relationship Issues, School Problems, Stress, and Trauma. Leon J. Quinn, M.D. received his MD degree from the University of Michigan and is certified in psychiatry by the American Board of Psychiatry and Neurology. 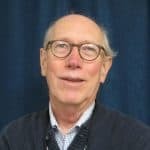 Most recently, Dr. Quinn served as Medical Director for HelpSource from 2003 until HelpSource closed in 2007, and he has been a Consulting Psychiatrist at Snow Health Center, Eastern Michigan University, since 2003. 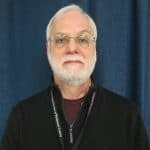 Dr. Quinn’s extensive career in psychiatry has included work as an Ambulatory Care Psychiatrist for Henry Ford Behavioral Health, as a Unit Director for the Center for Forensic Psychiatry in Ann Arbor, and as Medical Director for an inpatient psychiatric facility. Jenean Reitz, MSW, LMSW earned her MSW at the University of Michigan, with concentrations in Mental Health and Interpersonal Practice. Jenean also obtained her Bachelor’s degree from Concordia University with a major in Family Life Education. Prior to her graduating Jenean was enlisted in the U.S. Army, and is passionate about working with active military members, veterans, and their families. While working three years at Prisoner ReEntry, Jenean gained experience with successfully reintegrating adults who have been separated from their families and communities. She has a specialized focus working with adults and families who are in crisis, homeless, suffering from addictions, trauma, anxiety, and depression, disabled, and in need of resources and support. Jenean believes evidenced-based treatment methods and strong therapeutic relationships are fundamental in successful therapy. Jenean uses a combination of therapy techniques including cognitive behavioral therapy, motivational interviewing, strength-based and solution-focused therapy. Specializes in Working with: Adolescents, Adults, Couples, and Families. Areas of Practice: Abuse/Neglect, Adjustment Problems, Anger Management, Anxiety Disorders, Attachment Disorders, Attention Deficit Hyperactivity Disorder (ADHD), Behavioral Problems, Eating Disorders, Bipolar Disorders, Crisis Intervention, Depression, Domestic Violence, Family Dysfunction, Grief & Loss, Lifestyle Changes, Marital and Co-Parenting Problems, Mood Instability, Parenting Challenges, Relationship Issues, Substance Abuse Recovery and Relapse Prevention, School Problems, Sexual Orientation Concerns, Socioeconomic Challenges, Suicidal Ideation and Self-Injurious Behaviors, Stress Management, Post-Traumatic Stress Disorder (PTSD) and Trauma. David Shoup, JD, MSW, LMSW, ACSW, received degrees in Psychology and Law from the University of Michigan and earned his MSW from the University of Oklahoma. He founded Washtenaw County’s Supervised Parenting/Exchange Program at HelpSouce in 2001 and coordinated this program until it was transferred to Catholic Social Services in 2007. He also worked as a therapist at HelpSource from 2001-2007, seeing children, adolescents, and adults with a variety of mental health issues. David uses a variety of therapeutic techniques, particularly cognitive behavioral therapy, to help clients develop more positive thoughts and behavioral patterns. Specializes in working with: children, adolescents, adults. Areas of Practice: Abuse/Neglect, ADHD, Adjustment Problems, Anger Problems, Anxiety, Attachment Disorders, Behavior Problems, Bi-Polar Disorder, Child Abuse, Depression, Divorce Issues, Domestic Violence, Family Changes Family Dysfunction, Grief/Loss Issues, Parenting Issues, Phobias, Relationship/Marital Problems, School Problems, Stress. Susan Sloan, MSW, LMSW, received her Master of Social Work degree and School Social Worker Certification from the University of Michigan. She obtained her BS from Eastern Michigan University, focusing on art, music therapy and developmental studies. 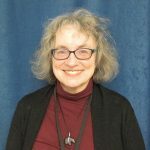 For the past 25 years, Susan has worked in a variety of outpatient, community mental health and family settings with diverse populations. Recent work has focused on private practice, as well as medical social work. Susan has developed an eclectic approach and enjoys working with a full age range, most recently working with seniors in home-based settings. She uses a variety of methodologies including insight-oriented, cognitive-behavioral, person-centered and evidence-based treatment approaches in working with others. Specializes in working with: Children, Adolescents, Adults, and Seniors. Areas of Practice: Anxiety, Depression, Bipolar Disorder, Crisis Intervention, ADHD, Obsessive Compulsive Disorder, Grief/loss Issues, Parenting Issues, Adjustment Disorders, PTSD, Trauma, Family issues. Jeff Spaulding, Ed. S., MSW, LMSW, received his Master of Social Work degree and School Social Worker Certification from the University of Michigan. Jeff earned an Educational Specialist degree in School Psychology from Michigan State University and is a certified School Psychologist as well as a School Social Worker. He has been living and working in Washtenaw County for more than 30 years. many special education students, and consulted regularly with teachers and staff on how to best support their students’ needs. Jeff is comfortable with using a variety of approaches, including insight-oriented, cognitive-behavioral, person-centered and evidence-based treatment approaches, in order to develop an individualized plan for each client. Areas of Practice: Learning and School Issues, Adjustment Problems, Anxiety, Attention Deficit Hyperactivity Disorder (ADHD), Autism Spectrum Disorder, Behavior Problems, Anger Management, Bipolar Disorder, Depression, Divorce Issues, Grief /Loss Issues, Parenting Issues, Stress, and Obsessive Compulsive Disorder. 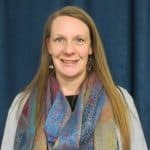 Sarah Talgo, MSW, LMSW, earned her School Social Worker Certification and MSW with concentrations in Mental Health and Interpersonal Practice from the University of Michigan. She also obtained her Bachelor’s degree from the University of Michigan, with a major in Psychology and minor in Philosophy. Her graduate training involved interning as an outpatient therapist at the Development Centers, Inc, in Detroit, Michigan. Sarah has a multitude of diverse experience including: studying cultural effects on cognition at the University of Michigan Institute of Social Research; working with and advocating for people with developmental disabilities; volunteering and training at the University of Michigan Spectrum Center (specializes in LGBTQ related services); and working with perpetrators and victims in cases related to domestic violence, sexual abuse/assault, and child abuse/neglect. Additionally, she facilitated a parenting class at CSSW called THRIVE, based on the Nurturing Parenting curriculum. Sarah is an eclectic practitioner, who believes in evidenced-based treatment methods and strong therapeutic relationships as being central to success in therapy and healing. Areas of Practice: Abuse/Neglect, Adjustment Problems, Anger Management, Anxiety Disorders, Attachment Disorders, Attention Deficit Hyperactivity Disorder (ADHD), Behavioral Problems, Bipolar Disorders, Crisis Intervention, Depression, Domestic Violence, Family Dysfunction, Grief & Loss, Lifestyle Changes, Mood Instability, Parenting Challenges, Relationship Issues, Substance Abuse Recovery and Relapse Prevention, School Problems, Sexual Orientation Concerns, Socioeconomic Challenges, Suicidal Ideation and Self-Injurious Behaviors, Stress Management, Post-Traumatic Stress Disorder (PTSD) and Trauma. Manuela Uribe, MSW, LLMSW, graduated from the University of Michigan in 2017 with a Master’s degree in Social Work with concentrations in Interpersonal Practice and Mental Health. She earned her Bachelor’s degree in Psychology with a minor in Nutrition from Central Michigan University. Manuela completed her internship at Washtenaw County Community Mental Health in the Adult Outpatient Therapy program. 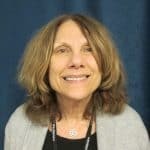 She has experience working with individuals who struggle with conditions such as schizophrenia, bipolar disorder, anxiety, depression, Borderline Personality Disorder, substance Use Disorder, obsessive-compulsive disorder, and post-traumatic stress disorder. 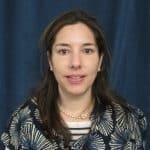 Manuela utilizes evidence-based therapy such as Cognitive-Behavioral Therapy, Dialectical Behavioral Therapy, Solution-Focused therapy, and Trauma-Focused CBT. Specializes in working with: Bilingual (English/Spanish) pre-teens, adolescents, and adults. Areas of Practice: Anxiety, Depression, Post-Traumatic Stress Disorder, Trauma, Relationship Problems, Substance abuse, Borderline Personality Disorder, Anger Management, Obsessive Compulsive Disorder, Behavior problems, Bipolar disorder, Schizophrenia. Questions about BHCS? Contact us.